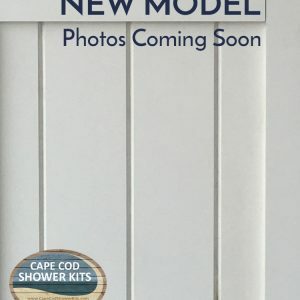 Constructed from durable, low-maintenance eye catching beautiful PVC with top quality components and hardware, the Deluxe House Mount Outdoor Shower Kit is our most popular outdoor shower that offers a built in changing room area. 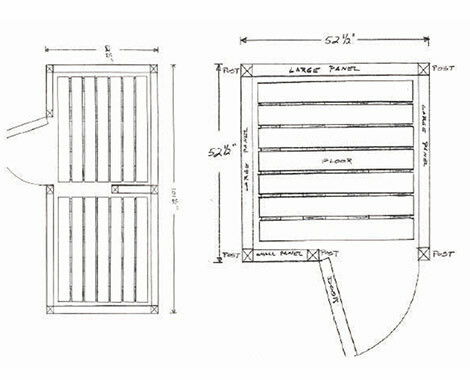 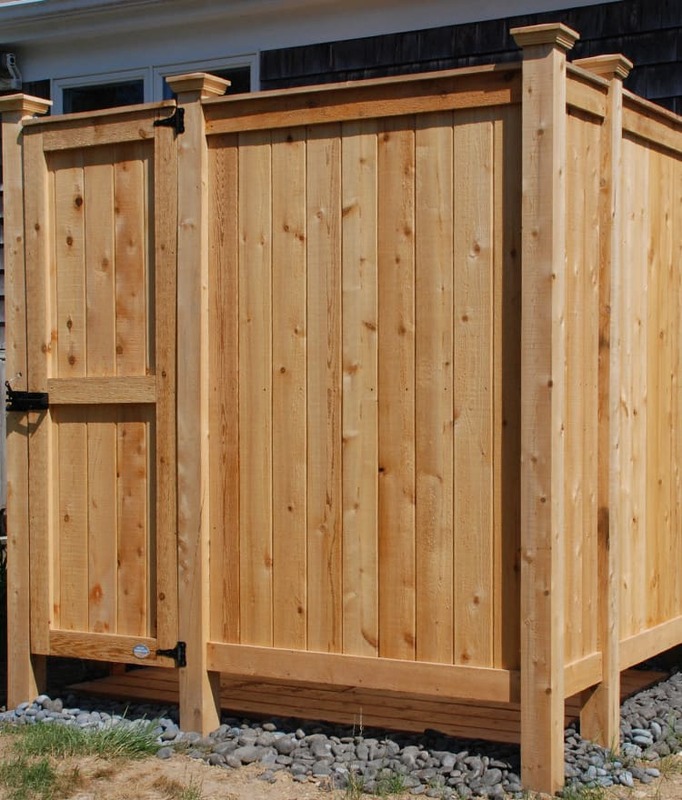 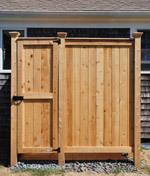 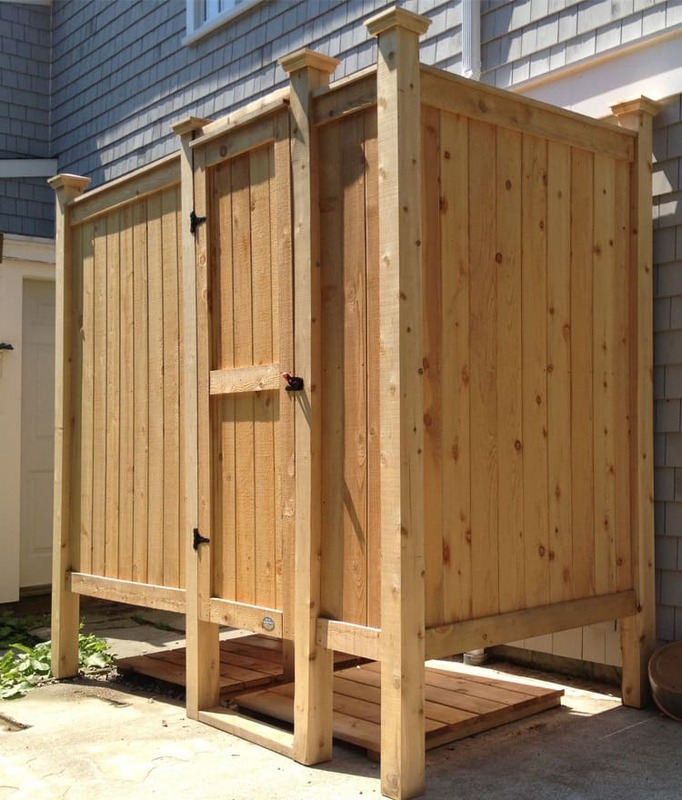 This outdoor shower model offers you a huge space with a length of over 8′ long. 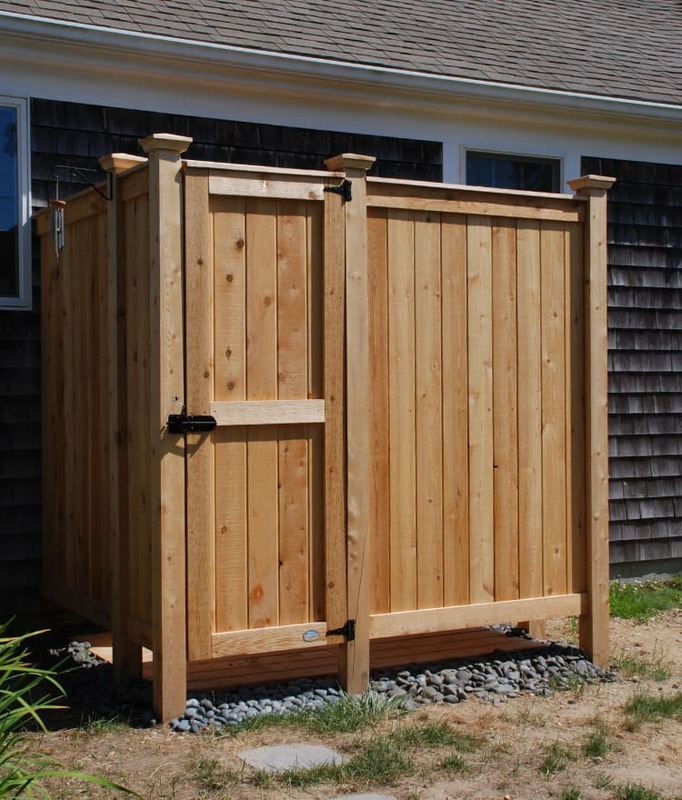 As with the standard size outdoor shower, we build these Deluxe PVC outdoor shower enclosures to be quick to assemble with all the necessary hardware. 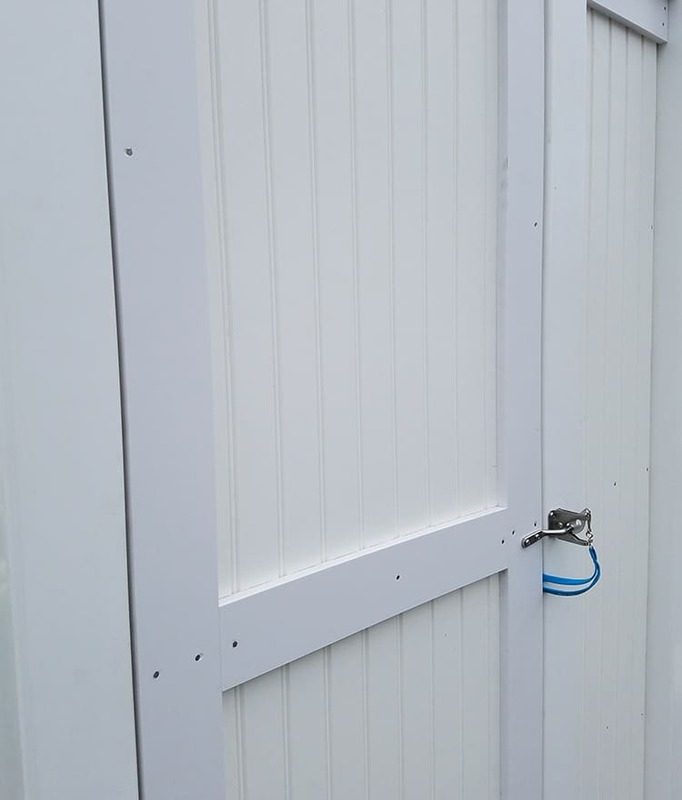 PVC Outdoor Shower Kits available as Complete kits and regular panels only, with optional extra posts against the house. 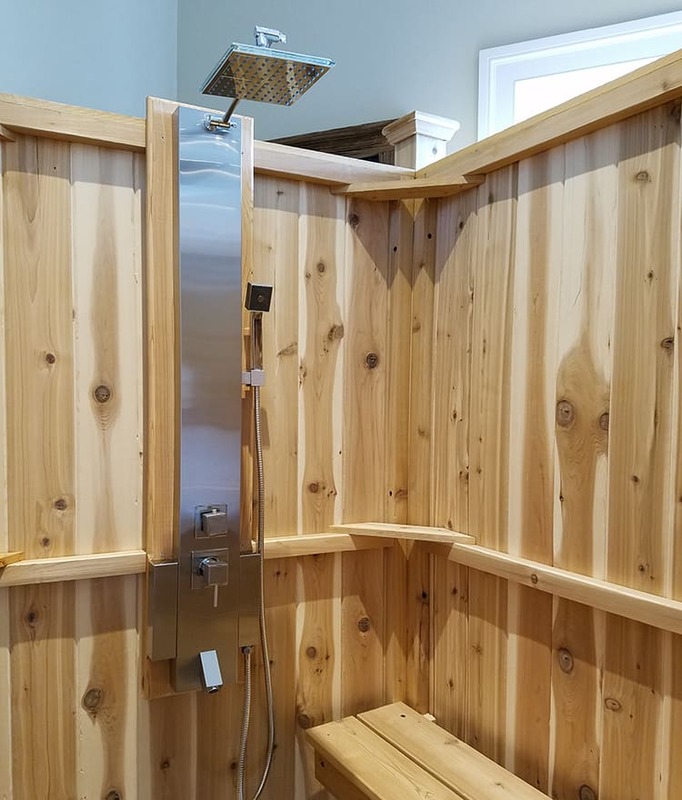 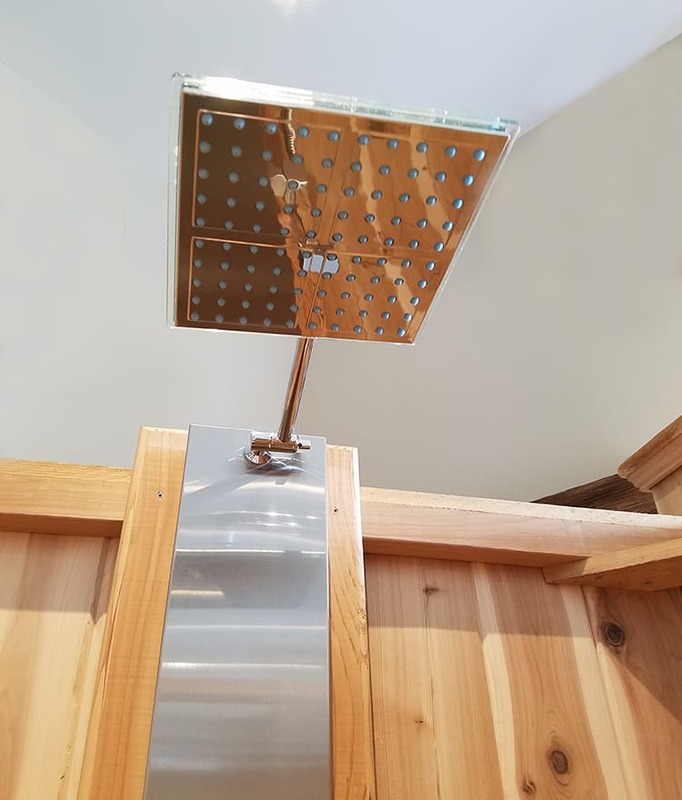 Our Deluxe House Mount Outdoor Shower utilizes the side of a house as a wall and gives you an extra room for changing/drying or adding another outdoor shower head. 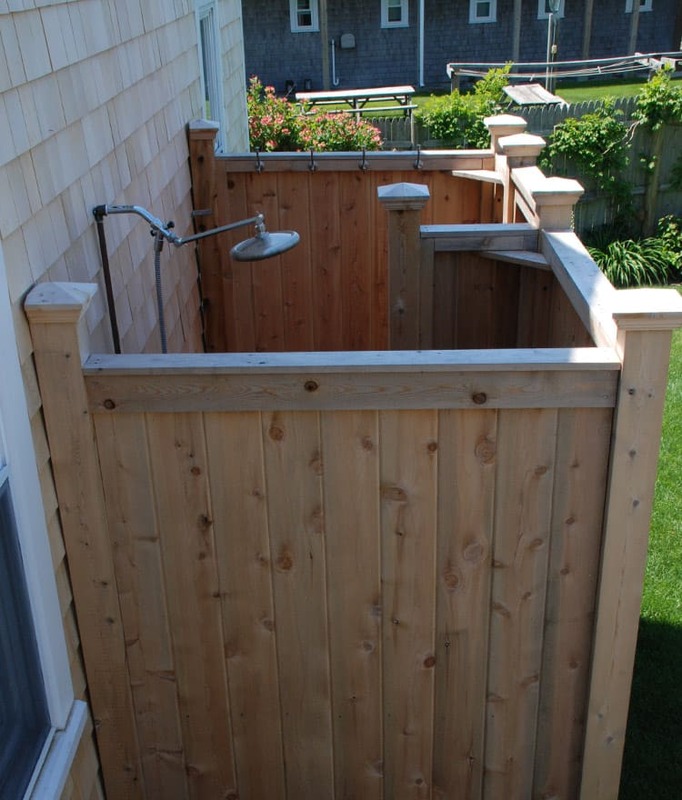 The optional (and recommended!) 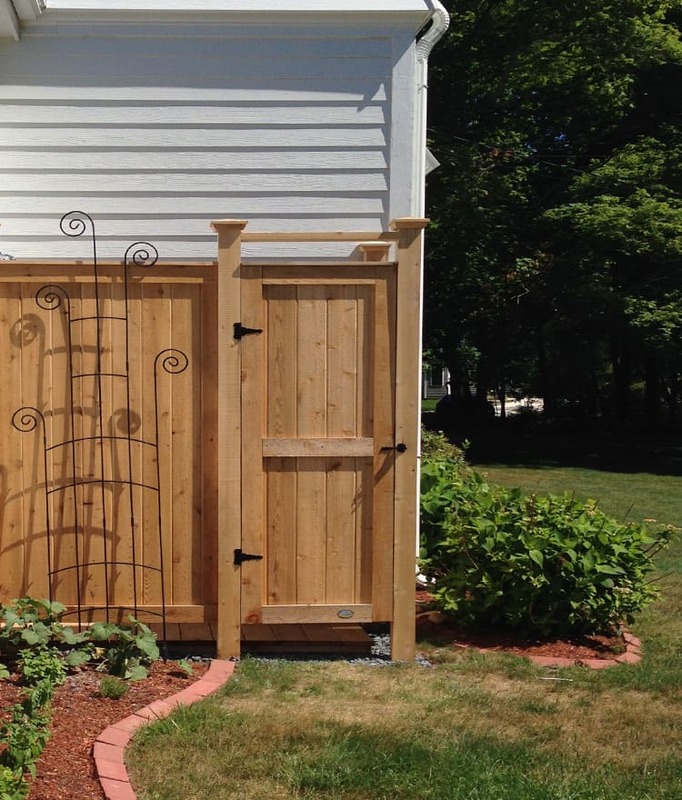 posts complete the look and can be added as an extra accessory. 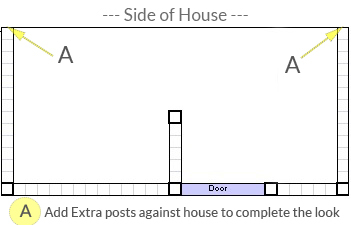 Extra posts for house mount are not included on base models. 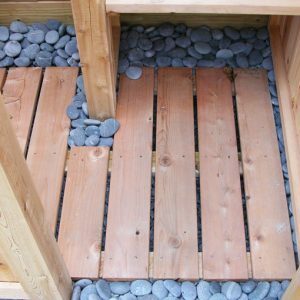 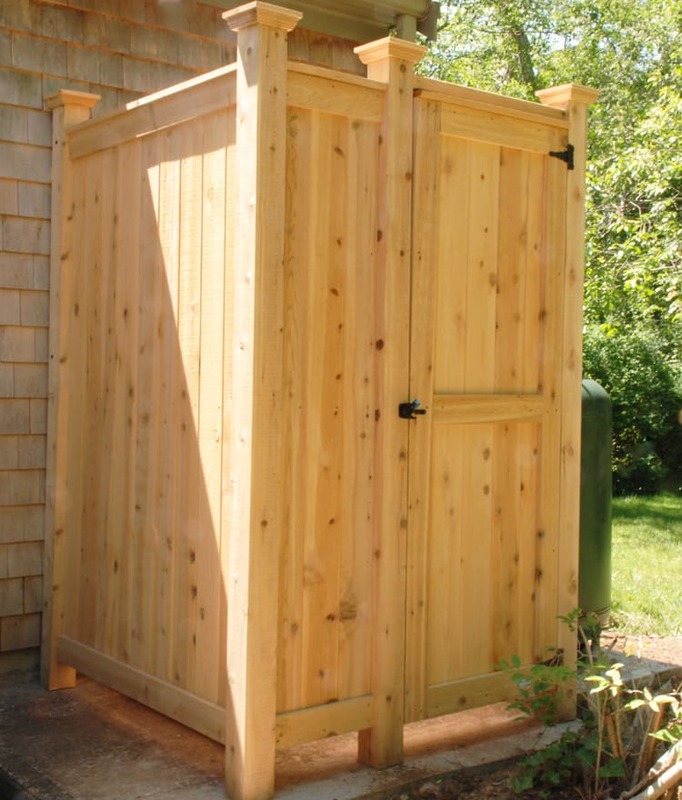 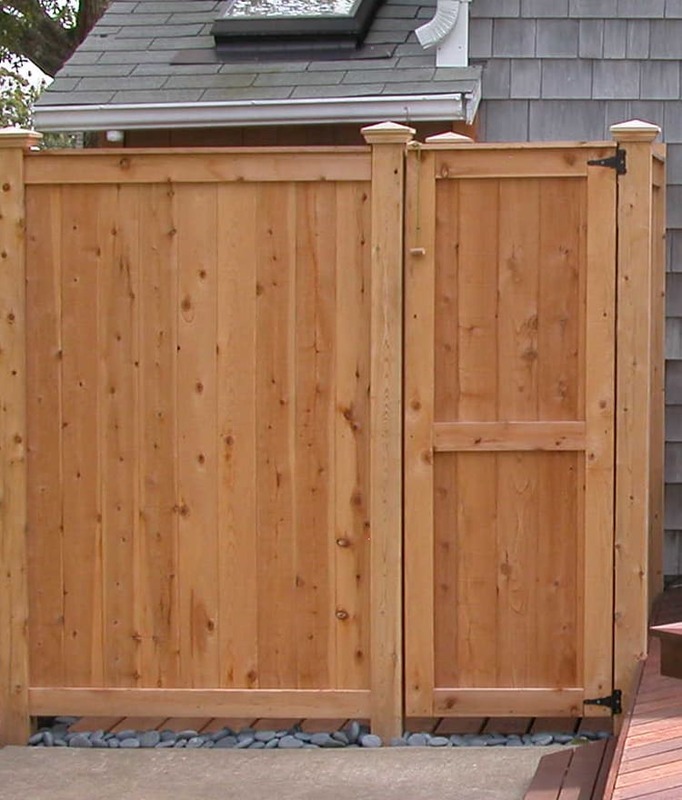 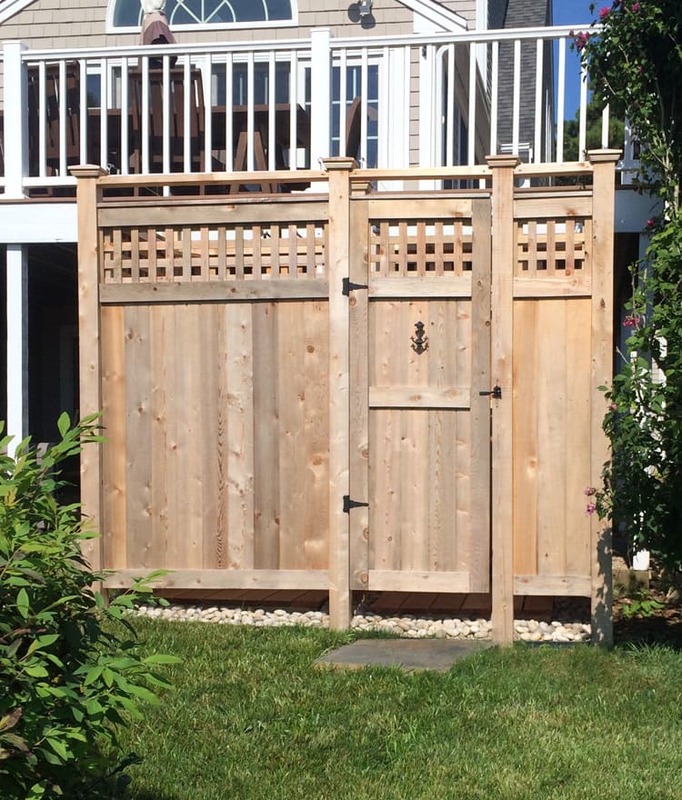 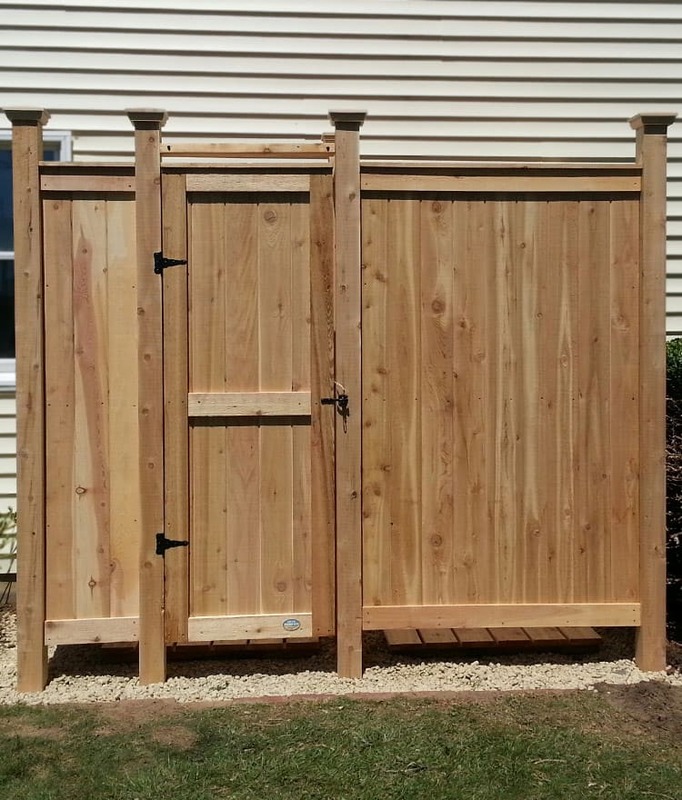 Add 2 posts to complete the look for your outdoor shower! 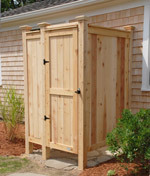 Our outdoor shower enclosures are "smart designed" to allow flexibility. 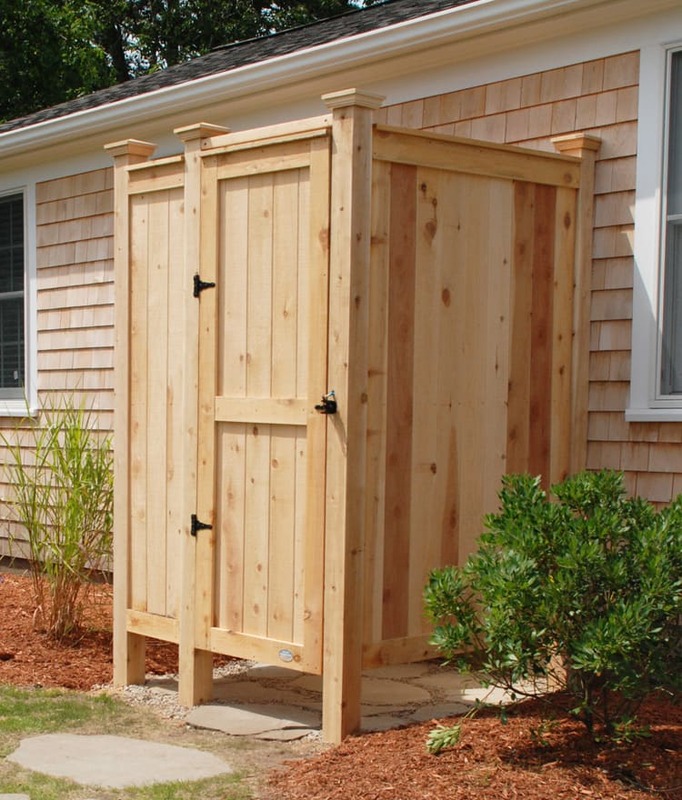 Move your door to any side you want.